Catholic Priests And Activists Urge Racist Cardinal To Refrain From Using His Office To Undermine Human Rights! 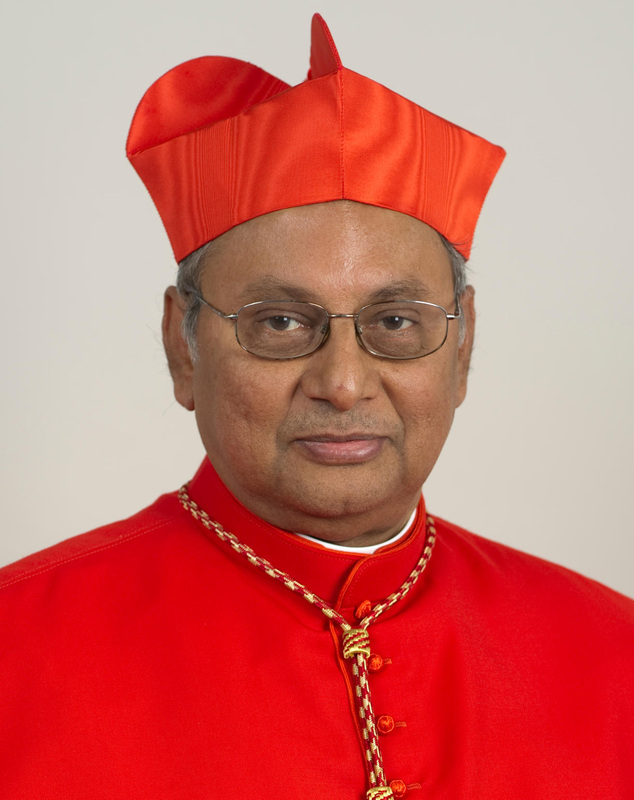 A group of Catholic priests and activists have written a letter to Cardinal Malcolm Ranjith urging him to refrain from using his position to bring the Catholic faith into disrepute, to mislead Catholic faithful and to undermine the human rights framework and discourses which have universal applicability, including to Sri Lanka, and which have been welcomed by successive Popes. “Instead, please support, encourage and lead the faithful, including the clergy, religious and laity, to become more aware of human rights and get involved in struggles for human rights, in line with the 2013 pastoral letter’s call to “collaborate with God in preserving the dignity and the rights of all,” not to say all the broader Catholic teachings related to human rights,” the letter says. Human Rights are integral to Christian faith. As Catholic Clergy, Religious and Laity from different Catholic dioceses and different congregations in Sri Lanka, we were shocked at some of your recent comments saying that there was nothing called ‘human rights,’ that human rights came recently, that they constitute a new western religion, meant for those without a religion, that they are a myth to be “careful” about, and that those who believe in (and practice) a religion don’t need to talk about human rights. We have also read the ‘clarification’ you provide to the Daily Mirror and comments by your secretary, Rev. Fr. Subasinghe, which in no way provide a different interpretation of your comments in the homily, and which appear, overall, to be aimed at undermining the human rights discourse and frameworks. We are deeply disappointed that nowhere in the 12 minutes of your speech do you explain the strong Catholic teachings on human rights. While you highlight that “replacing religion with human rights is not what is to be done,” what you seem to be advocating for is to “replace human rights with religion,” despite oppressive and discriminatory past and present practices of religions, including Catholicism, not to mention complicity with perpetrators. We note that even before this, you have implied human rights are a western imposition that might damage our culture. Human rights is about all human beings being able to live in dignity, without discrimination, want or fear. Which is very much in line with our faith as Catholics that all human beings are equal and were created in the image of God. Human rights play a key role in Catholic Social Teachings. The principle of human rights is universal, insists on freedom of religion and belief for all, captures fundamental teachings of religious and spiritual traditions about human dignity, equality etc., but also challenges discriminatory and oppressive past and present practices of religions including Catholicism. As Sri Lankan Catholics, we recognize the relevance and applicability of universally recognized human rights to Sri Lanka. And that promoting and protecting the human rights of all is a fundamental and integral vocation of all Catholics, along with others of different religious beliefs and those with no religious beliefs. We see your comments as your personal opinion. We find it difficult to believe your comments represent the faith of the Catholics in the Archdiocese of Colombo and we are conscious that you don’t represent in anyway the other 11 Catholic dioceses, or the many Catholic Religious Congregations and Lay movements in Sri Lanka. We appeal to you to refrain from using your position to bring the Catholic faith into disrepute, to mislead Catholic faithful and to undermine the human rights framework and discourses which have universal applicability, including to Sri Lanka, and which have been welcomed by successive Popes. Instead, please support, encourage and lead the faithful, including the clergy, religious and laity, to become more aware of human rights and get involved in struggles for human rights, in line with the 2013 pastoral letter’s call to “collaborate with God in preserving the dignity and the rights of all,” not to say all the broader Catholic teachings related to human rights. We look forward to a response from you.